TVS today launched the new Scooty Zest 110 at a price of Rs 42,300 (Ex-Showroom Delhi). It was first presented at the Auto Expo 2014. The new Scooty Zest 100 which will be available in 5 colour options, that includes Fiery Red, Daring Black, Powerful Pink, Terrific Turquoise and Dynamic White. 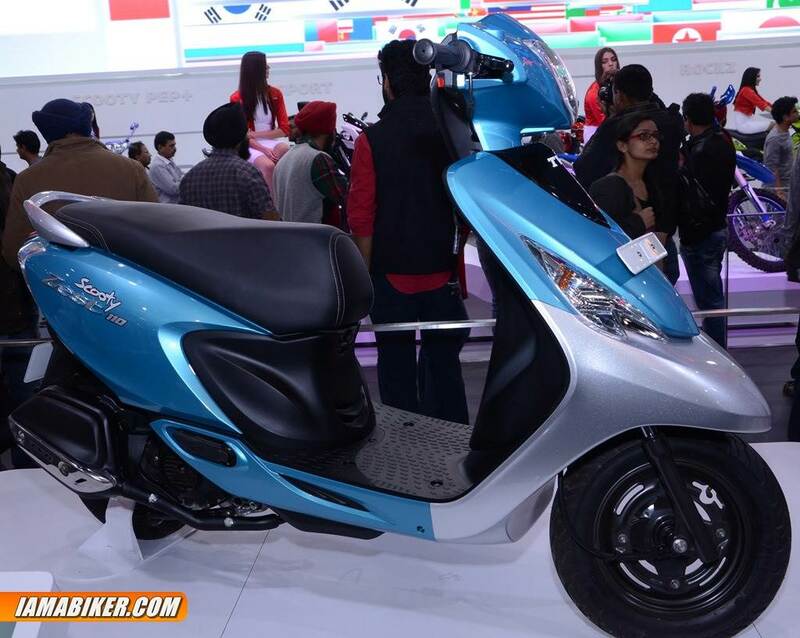 Powering the new Scooty Zest is an 110 cc engine that we have already seen on the Wego and the Jupiter. It produces 7.9 HP @ 7500 RPM and 8.8 Nm @ 5500 RPM. TVS promises a mileage of 62 kmpl for this new scooter. Should be an interesting city ride especially since it weighs just 97 kgs. Full specifications below, detailed review coming up soon.